Dionisio Coronado Jr. of the CPU TV Channel officially ends the station’s cable channel subscription to focus on social media in order to promote CPU events and profiles. After more than two decades in partnership with a cable company, CPU has decided to expand its reach and go global! 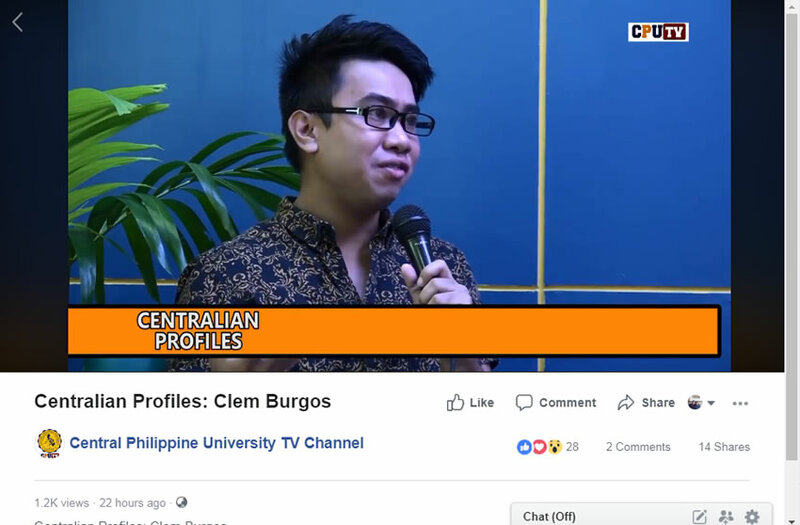 CPU TV will now be using Facebook (https://www.facebook.com/CentralPhilippineUniversityTV/) to broadcast live and recorded events. This initiative is a response to cope up with the technological trends of communication and to reach out to more Centralians across the globe by sharing the Central Spirit through social media and other forums to unite the growing community of CPU alumni. 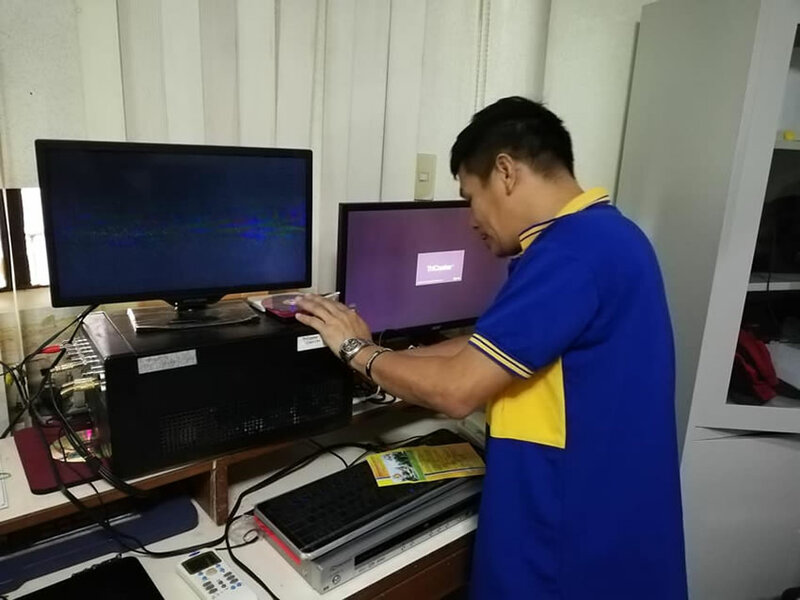 In the past, CPU reached the consciousness of the viewers of Iloilo City through its partnership with cable companies (Skycable, Sun Cable and Cable Star with CPUTV Channel 33, 25, 8 and 31). The dedicated channel featured programs held at Rose Memorial Auditorium as well recorded materials or documentaries. Mr. Clem Burgos, Champion, 5th International Competition of Arts and Culture, during an interview with the Centralian Profiles. The said video was broadcasted live in Facebook. Under the guidance of the Director of the Office of Communications, Rev. Francis Neil G. Jalando-on and his team, CPU TV is launching new programs, including talk shows, pageants, concerts, ministry and educational programs, and even graduation ceremonies via Facebook. Within the university the CPU Alumni Association Inc., the CPU Republic together with the different colleges and departments have already signified their interest in collaborating with Central Philippine University due to the development of worldwide communications through CPU TV. Central Philippine University © 2019 All Rights Reserved.